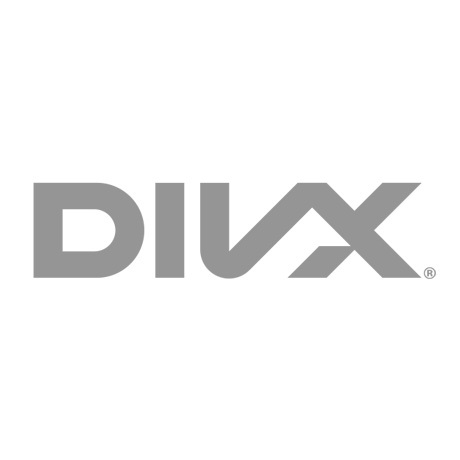 SAN DIEGO, CA, December 4th, 2014 — DivX, LLC, a leading provider of next-generation digital video solutions, will exhibit a number of solutions for the preparation, delivery, playback and sharing of high-quality multiscreen DivX® video up to 4K at the upcoming 2015 International CES Show, taking place January 6-9, 2015 at the Las Vegas Convention Center in Las Vegas, NV. DivX (South Hall, booth 31650) will demonstrate how its solutions, including the DivX® OmniView™ suite of over-the-top (OTT) delivery products, and a new 4K video sharing offering, can help consumers maximize the benefits of consuming, distributing, and sharing video entertainment across multiple screens. DivX will also show how its advancements in HEVC, 4K and live streaming are making quantum leaps in video delivery and consumption in areas such as the cloud, OTT and multiscreen. “DivX® consumers and customers alike are demanding better video quality. A crucial element to meeting these demands is the HEVC standard, with its improved compression rates and ability to deliver Blu-ray-like quality video. HEVC will be a key enabler driving 4K content delivery, over-the-top or through the cloud, to all screens,” said DivX President & CEO Kanaan Jemili, Ph.D.
“At CES, our DivX® OmniView™ suite of products will demonstrate how we’re making the efficiency and quality of gains of the HEVC codec available to consumers by delivering high-quality video across multiple screens without compromising security or visual quality. CES is an invaluable opportunity for us to network with our customers and show them how our unique technologies continue to define video delivery across the Internet and multiple devices,” he added. DivX® OmniView™ – Launched at IBC in September 2014, this suite of products for OTT video delivery includes video encoding and packaging, Hollywood-approved DivX® DRM technology and secure players for multiple devices and platforms, including iOS, Android, Smart TVs and PCs. DivX will demonstrate a new Asia-based OTT service on Android Smart TVs and its latest solutions for in-flight video-on-demand. 4K Content Delivery Solution — For CE brands seeking Hollywood 4K movies to ship with TVs, this exhibition puts on display the DivX DRM and secure playback technologies that enable premium content bundling with, and streaming to, currently shipping UHD TVs from the world’s largest device manufacturers, including LG. Demonstrations will include a premium 4K bundle, and an independent content 4K streaming service. DivX 4K Live – The latest DivX profile will enable Secure Live DASH-compliant OTT video streaming to UHD TVs, tablets and the web at up to 4K resolutions. A new solution for 4K personal media that supports ‘create once, share high-quality 4K video anywhere’ using the cloud. This new solution will allow consumers to capture and upload media into the DivX cloud, create private groups for sharing, and play content from the cloud to any DivX certified device. DivX will also exhibit at the CES ShowStoppers event, giving editors and industry analysts an exclusive, in-depth look at the company’s product portfolio. ShowStoppers is being held at the Wynn Hotel on Tuesday, January 6, from 6-10p.m.